Hull New Theatre’s beginnings go as far back as 1924, when the Hull Repertory Theatre formed and began performing at the ‘Little Theatre’ in Kingston Square. 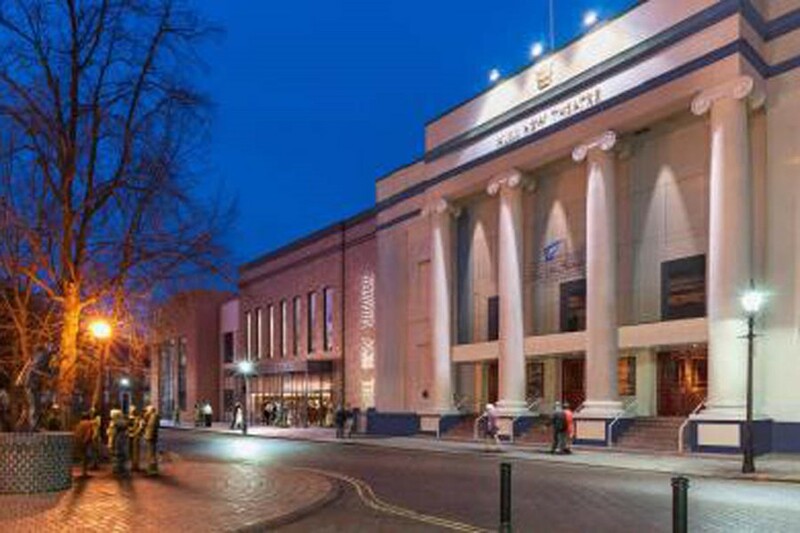 In 1939 Peppino Santangelo bought the Assembly Rooms next door and on 16th October Hull New Theatre officially opened its doors for the first time when the curtain rose on a production of Noel Gay’s Me and My Girl. Thanks to Santangelo’s vision and hard work performances continued throughout World War II, even surviving a direct hit, before he retired in 1959. Hull City Council took over the running of the theatre in the 1960s to prevent it from being turned into a bingo hall! Peppino Santangelo’s dream was to create a tradition of ‘playing for the people’ and this remains true today. Hull New Theatre re-opened on Saturday 16 September 2017 with a gala performance by The Royal Ballet, following a £16million refurbishment. We look forward to welcoming customers old and new to see our incredible transformation.